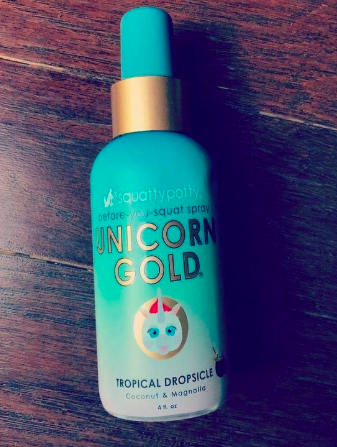 Your new ~number two~ won't take any crap with Unicorn Gold bathroom spray! Let's face it: sometimes you just can't hold it in! 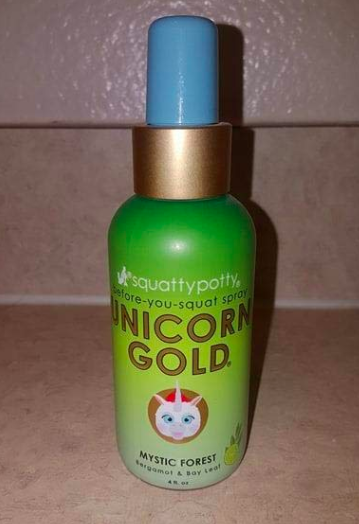 Lucky for us there's Squatty Potty Unicorn Toilet Spray ($9.99 on Amazon) to ~cover our tracks~ after the deed is done. There's no shame in pooping (we all do it) but sometimes....ya just want the evidence gone. 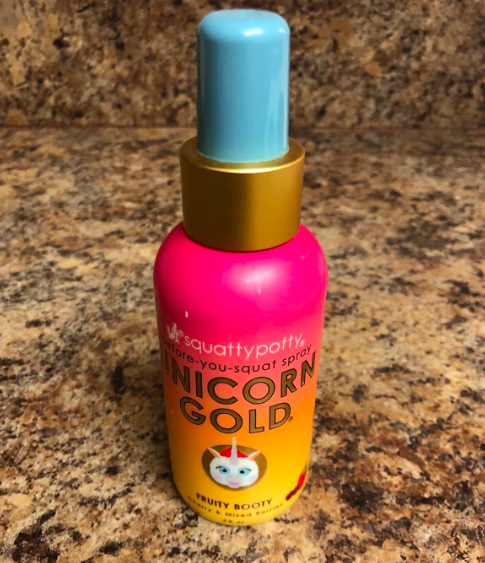 Yes, that's right, these were created by the pooping experts behind the legendary Squatty Potty! You know, the stool that's helped about 6,117 five-star reviewers to do the number two more...efficiently? Who better to trust?! In a totally non-creepy way! Need proof? 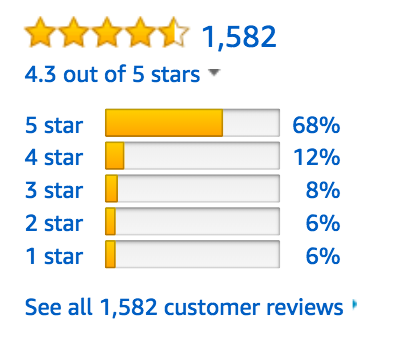 It already has 1,079 five-star reviews and a 4.3 average star rating on Amazon! This doesn't just *lightly mask* the scent: the formula is a blend of essential oils and real gold nanoparticles to trap odors above and beneath the toilet water and actually deodorize the room. You just spritz it before (if you forget, after works too) your number two and you're good to go! Did I mention it's good for up to ~200~ trips to the loo?! That's a lot of, um, sessions. Those with a fear of public restrooms can finally feel relieved when it's time to do their bidding. No one will ever know.